The Tsomo Angler has all the great qualities of the Tsomo together with fishing-specific features. At 2.75m long and 80cm wide, the Tsomo Angler is compact and convenient to transport. This is a playful kayak that is responsive to paddle strokes. It turns on a dime, cruises on flatwater and is a pleasure to paddle. The large Tankwell has Crate-holding Indents. These hold a crate or cooler box in place so that it doesn’t slide around in the tankwell. Use Bungee Cord, tie-downs or rope and our Multifit fittings to secure your gear. With the tankwell and 8″ Screw Hatch, you can stow all the gear you need for a long day of fishing. The Tsomo Angler comes standard with two Rod Holders, which are located behind the seat. Each rod holder has a Multifit positioned close by for securing your rods while paddling. Aluminium Deck Rails are installed on either side of the stand-up platform to attach fittings like a fish finder, rod holder, GPS and other accessories. Using these, you can customise and personalise the deck for your activities. To complete the angler capabilities of the Tsomo, an Anchor Trolley is also installed on the right side of the kayak. Use this to position your anchor to keep the boat in the perfect location and angle. The Tsomo Angler is perfect if you don’t need to paddle long distances and/or do not have storage space for a longer boat. 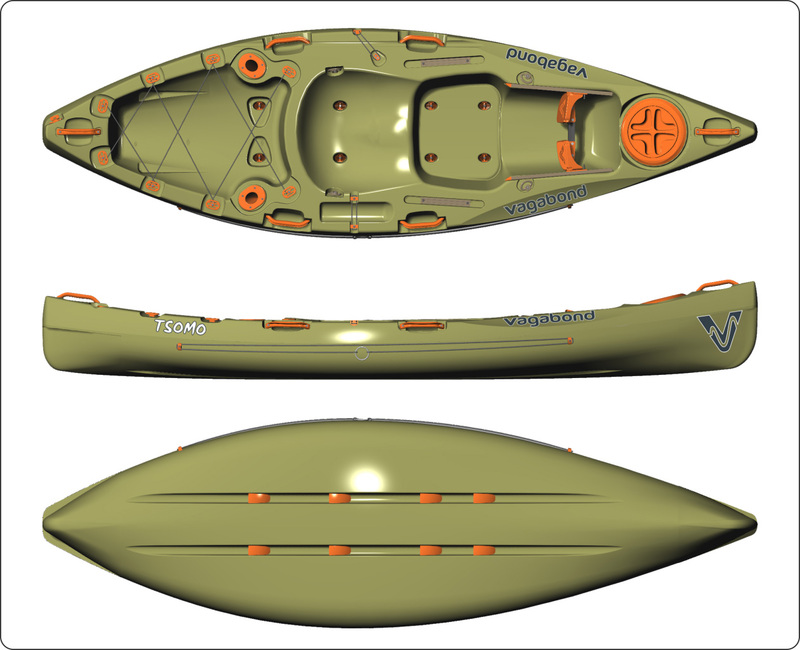 It is also a great all-round fishing kayak for older children and young teens.